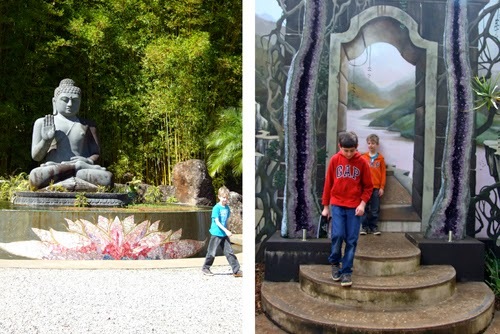 We visited the Crystal Castle while we were away. 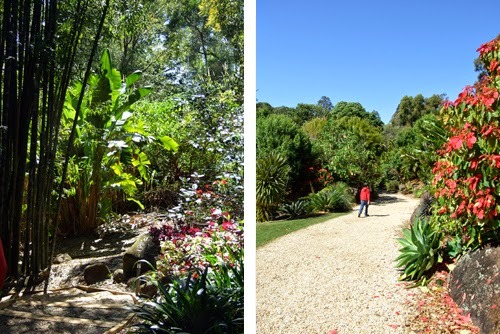 There are beautiful extensive gardens and an amazing collection of gemstones and crystals with a gift shop and cafe. We took the half hour drive to get there over interesting back roads with amazing views of the mountains in the distance and lush tropical vegetation. 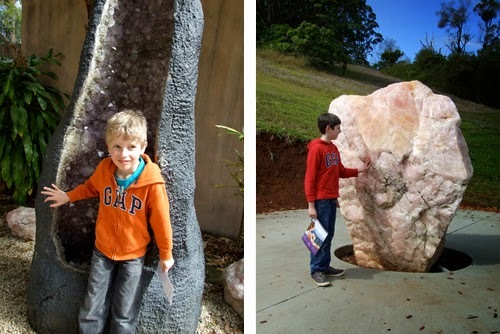 The boys loved exploring and looking at the gigantic crystals. 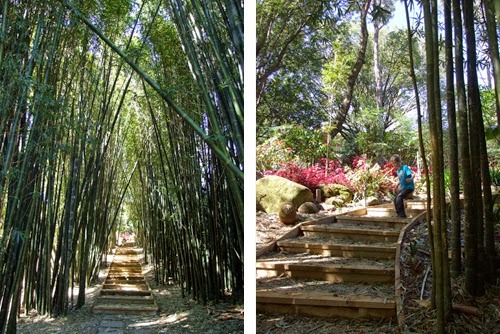 I absolutely loved the gardens especially the bamboo walk.